For the uninitiated, skydiving looks like a simple adrenaline rush: something done by reckless people for the purpose of diving into a tingly bath of potent brain chemicals. As a matter of fact, tingly brain chemicals are just the icing on the cake. The real reason we skydive is even simpler than that: freedom. Skydiving is the purest manifestation we’ve found. It’s freedom from our troubles; from our preconceived notions, no matter what those may be; from loneliness. To see what we mean by all that, please join us in taking a little freedom parade of the mind. Pop quiz: How likely are you to be able to think about your troubles when you’re falling through the wild blue yonder at 120+ MPH? Answer: Nooooooot very. It’s not that the mounting stack of laundry, the cutting notes on your kid’s report card, the costly results of last week’s fender-bender or the ketchup on your new linen pants take a back seat to the skydive. No. They get kicked right the heck out of the car. Skydiving offers every jumper the rare opportunity to truly let everything else go and live completely in the moment. On a skydive, nothing else exists but you, your equipment and the skydiving friends around you in freefall. The real magic, of course, happens on the ground. After landing, that annoying armful of nailbiters stops feeling quite so immediate. The “happy chemicals” your brain doused you in during freefall melt the freakout, and, like the chocolate you accidentally left on the calfskin seat of your brand-new car, it never really takes its premelt shape even when it cools off. A skydive is a playground. As jumpers, we take pains to dial in our skills to the point where we can invent something new and beautiful every time we leave the plane. At the pointy end of the sport, this turns into an interpretive dance of quite literally the highest level. As in most art, it takes skill to get truly creative, and we sport skydivers strive for that. 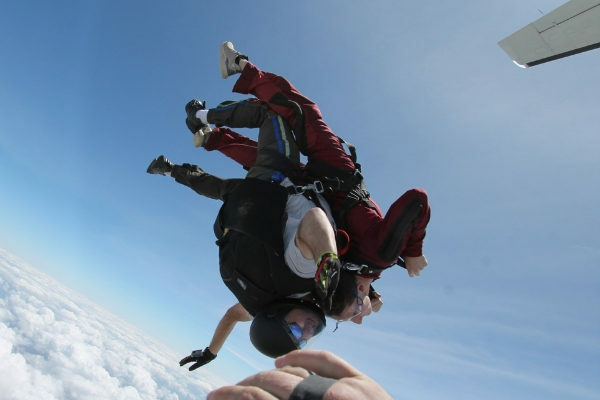 A skydive is not a haphazard tumble into the void in pursuit of adrenaline, after all. Every single jump presents an opportunity to hone any of a number of distinct skills, to perfect proprioception, to investigate aerodynamics and to dig into some fancy teamwork. We plan each jump down to the barest detail–and we train to grapple with situations that arise outside the plan–and then we play, play, play, play, play. There’s no way to be truly free if you can’t be who you are. It could be argued that, first and foremost, this is where the true freedom of skydiving exists: in the total acceptance of the community around you as a jumper. In the worldwide community of skydiving, you’re never alone. As soon as you get to a dropzone, you have a built-in network of like-minded adventurers with whom to share all the landmark experiences the sky has to offer. We come from such diverse backgrounds, we believe and behave differently, and we all have very different lives outside of the sport, but on the dropzone and in the sky, we’re all standing on a refreshingly equal footing. 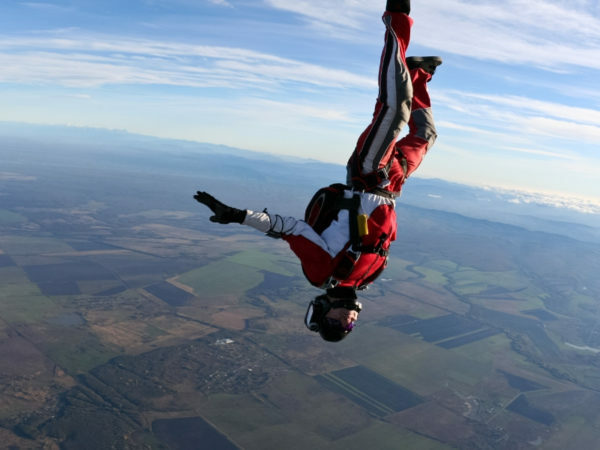 Want to see for yourself why skydivers say skydiving is like freedom? We want to show you!